The robotic population is dying out, and many dead robot bodies are all over the place. You, (since you are oh so special) have survived. 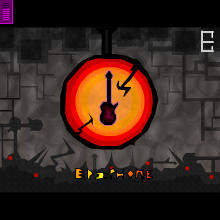 Retrieve all of the musical guitars, for you are a robot who plays guitar with an ultimate passion.